Port Phillip Bicycle Users Group heads to the Twilight Market for some grub and last minute Christmas gifts. 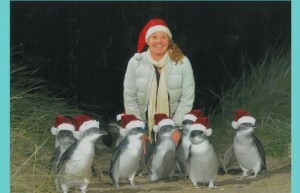 We’ll then pedal our way to the Little Penguin colony, led by a professional Penguin tour guide. Let’s finish the night with Christmas drinks at the iconic Espy Hotel. Online bookings essential. Enquiries Bronnie 0417 337 993.